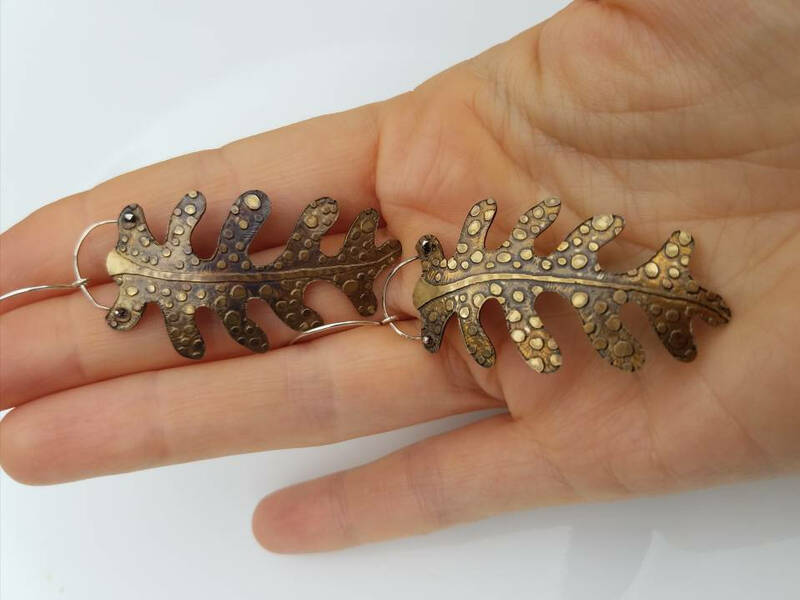 Fern leaves fascinate me. 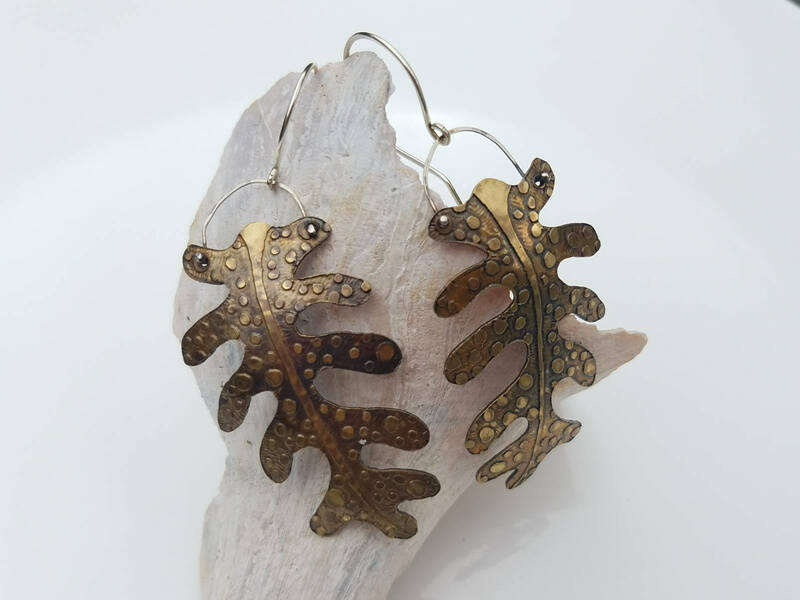 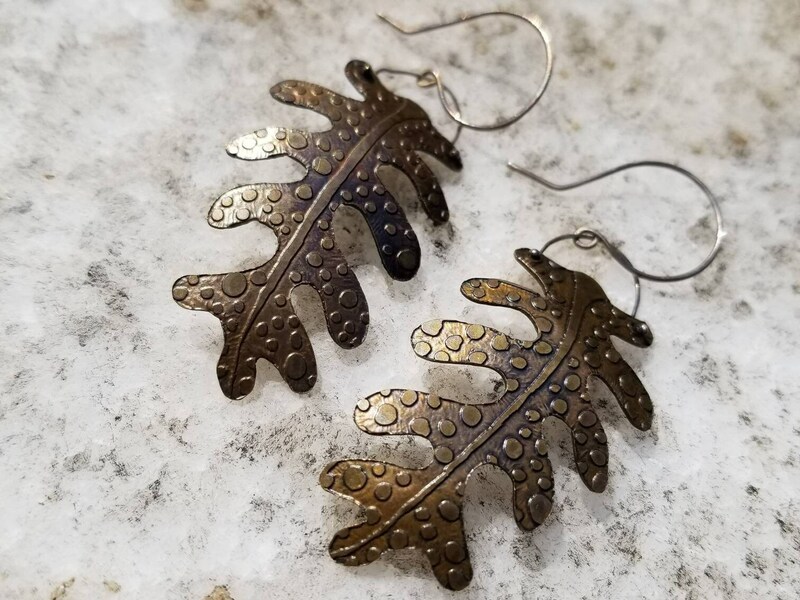 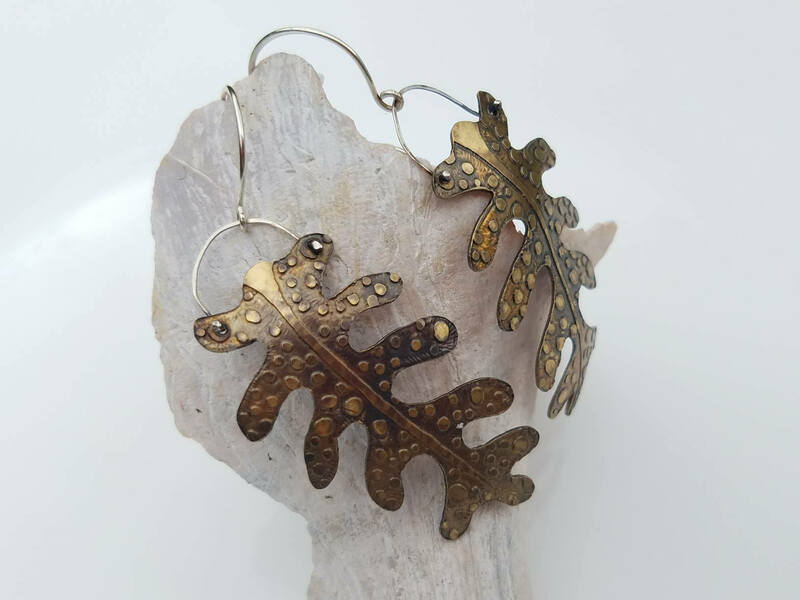 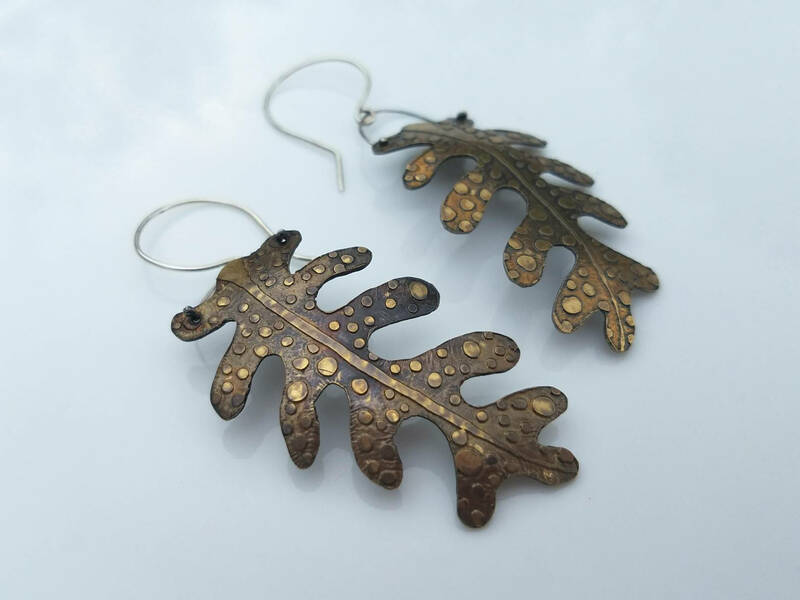 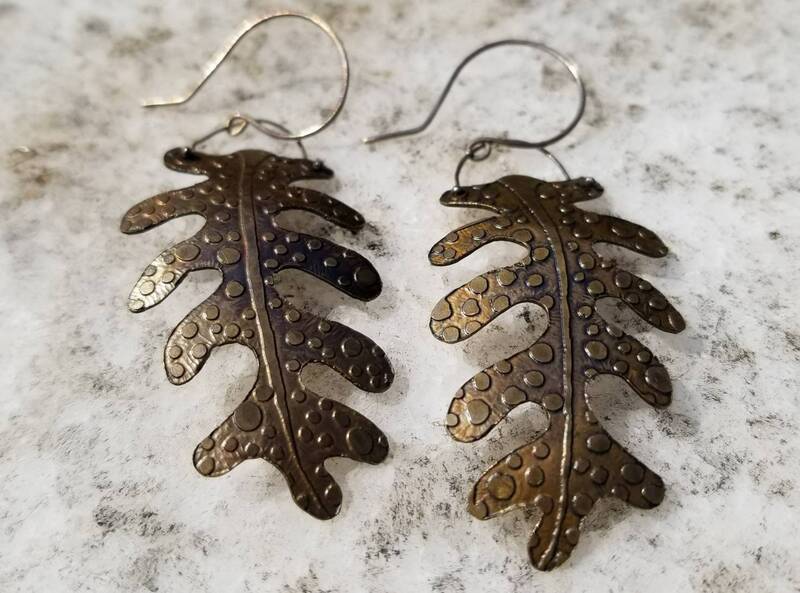 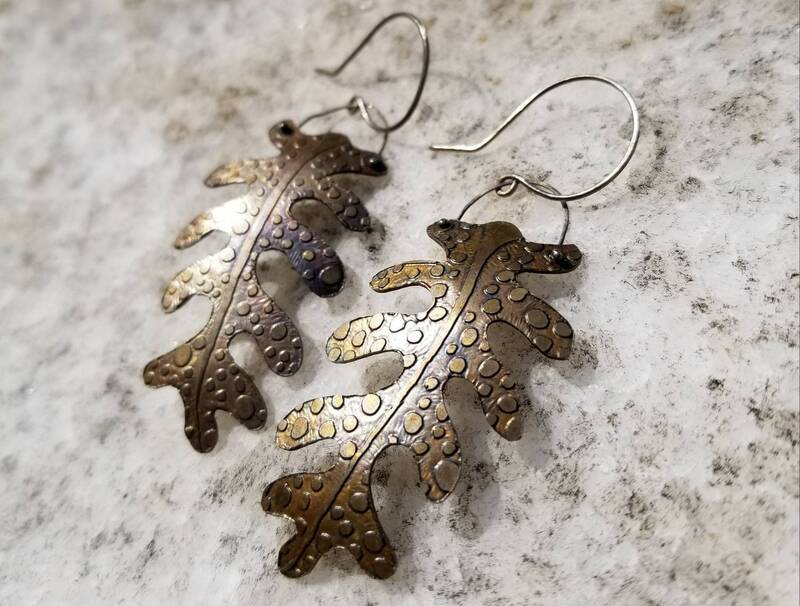 I cut out these leaf inspired shapes by hand and etched the raised dot pattern into the brass. 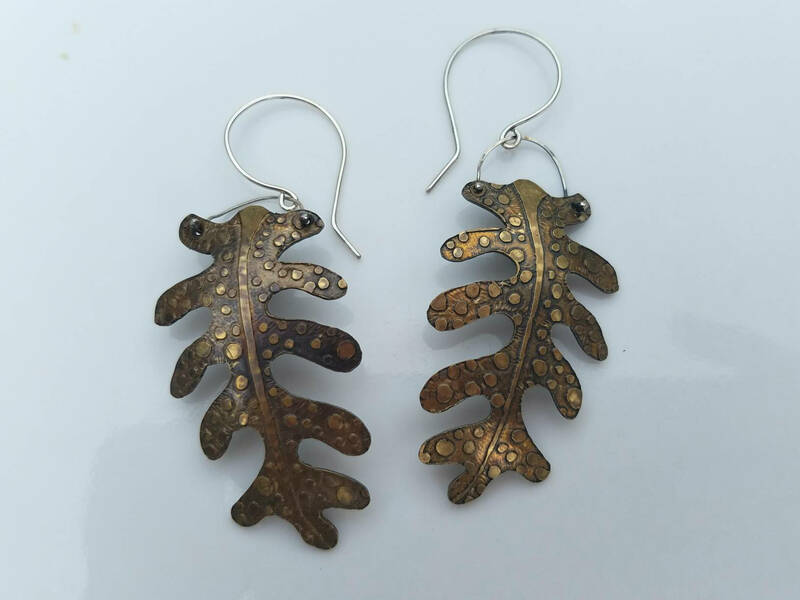 I then applied patina to give the earrings an aged, natural look. 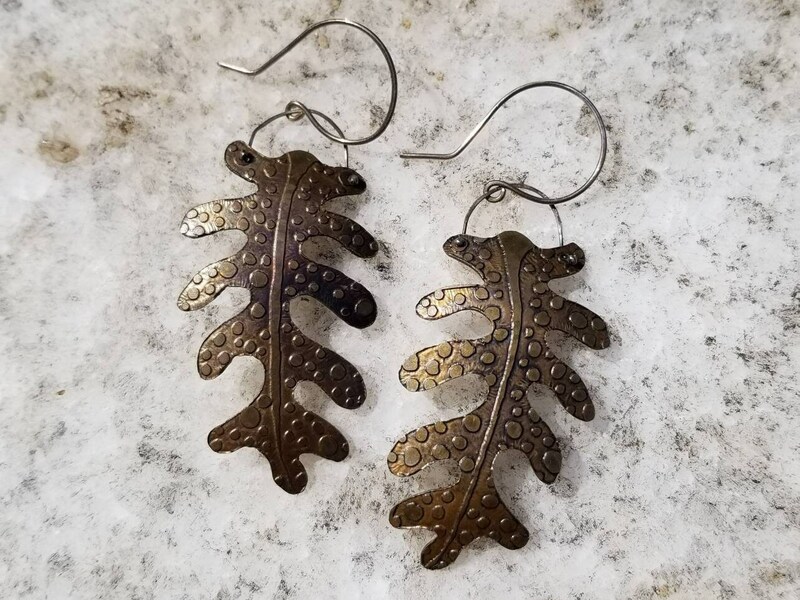 I created the hooks by hand out of sterling silver wire. 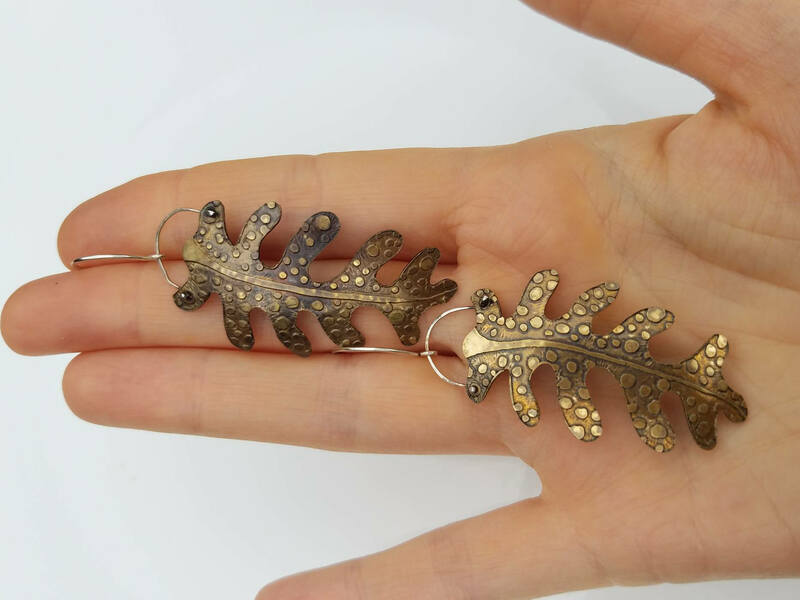 The earrings are approximately 2 inches long and one of a kind.